If you require a quote or any further information on how we may be able to assist you with your freight requirements simply enter the details below for a prompt reply. 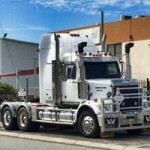 A privately owned Western Australian company, Tymac Logistic’s diverse fleet of vehicles and infrastructure focus on offering a range of services including urgent hotshots, flexible road transport movements, heavy haulage project management and bulk commodity storage and handing. Coupled with the commitment from our experienced staff and extensive network of resources, Tymac Logistics provides a cost efficient solution to your distribution requirements no matter how small or large. 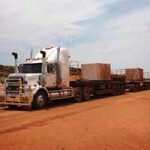 On Call 24 hours a day 7 days a week, Tymac Logistics specialises in delivering reliable transportation solutions to the mining and civil construction industries across Western Australia. 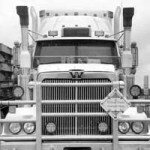 Tymac Logistics handles a wide variety of consignments including shipping containers, transportable buildings, mining equipment, bagged chemical products and general freight. The business specialises in remote area deliveries and maintains a diverse fleet of prime movers, side-loaders, extendable trailers, drop-deck trailers, pocket road trains and rigid trucks.